There are many ways we can both improve and maintain our smiles. 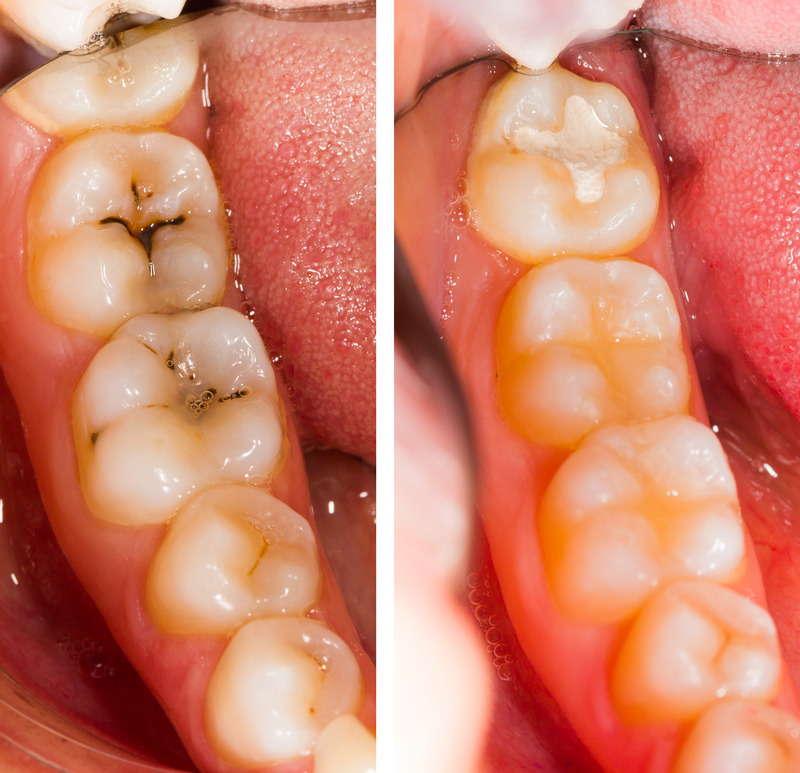 Most of the black, brownish and gray color vanishes with the removal of your existing decay and old silver fillings. We can mix and match multiple shades of filling material to make either a perfect match or close to a perfect match to your existing tooth structure. Making your teeth and smile look better are not the only benefit of having this bonding material used instead of the older silver filling technology. The restorative materials we use actually help support the remaining tooth structure, thereby making them stronger then before you came for your appointment! Most teeth look brand new when we are done. Additionally, we can use lighter shades to brighten your teeth and smile!